Bob Adelman has been trying jury cases since his graduation from The Cornell Law School in 1978. As a result of his record in the courtroom, he has been listed in The Best Lawyers in America®, recognized in Connecticut Magazine and New York Magazine, and inducted into the prestigious American College of Trial Lawyers. Bob served as the President of the Connecticut Trial Lawyers Association from 1992 to 1993. 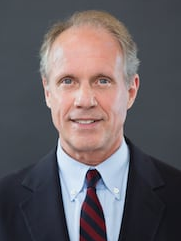 Because of his expertise in the law of evidence, Bob was selected to serve on the Connecticut Law Revision Committee, which, over the course of five years, wrote the Connecticut Code of Evidence. That Code now governs evidence in all Connecticut state trial courts. Bob was appointed by the Chief Justice of the Connecticut Supreme Court to the Code of Evidence Oversight Committee of the Supreme Court. He continues to serve on that Committee.